Ptecticus is an Old World genus of flies in the family of soldier flies. The main color of the body may be yellow, brown or black, and the abdomen often shows a degree of transverse stripes. 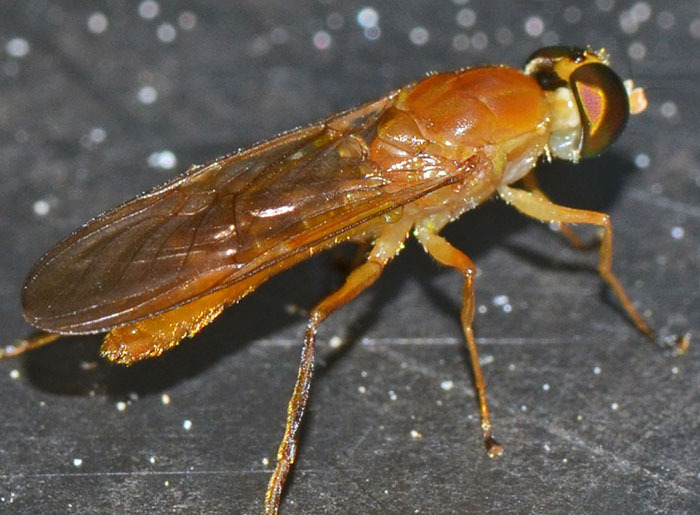 They may mimic parasitic wasps in appearance and habits. The wings are often dusky and the second abdominal segment may be translucent. Their larvae are broad, flat and segmented maggots, which may be found in fermenting fruit.